The latest trends this season may very well be right in your closet. Runway style icons and self-proclaimed fashionistas agree, the season’s top looks embrace minimalism and practicality. So, ditch the glitter and trim the frills, great style this season just got a whole lot easier. Simple but bold, clothes define this season’s go-to style. The oversized sweater, a staple for cool weather and a piece everyone is bound to own, is one of those pieces. Vogue magazine’s top 100 styles under $100 features gray, tan and white knit tops. Christian Dior’s ready-to-wear fall line showcases black turtlenecks and long sweaters. With a simple necklace or statement earrings, these pieces will keep you warm and looking stylish. Steph McKean, Rye resident and fashion marketing student rocks a simple, but bold fashion look. For Steph McKean, a Rye resident and fashion marketing student at Parsons The New School for Design in New York City, sweaters make for the perfect effortless look. “Big, comfy sweaters are my go-to outfit. Sometimes I’ll even throw on a long sweater over a dress with low boots,” says McKean. Keeping a close eye on fashion trends, McKean has found something surprising in this season’s trends. “The heel is really fading out this fall and spring. It’s all about flats,” McKean says. Low-heeled boots, ballet and pointed flats are in, and I’m sure most women are happy to hear it. Just as surprising, stylists are telling people to forget the outdated “no white after Labor Day” rule. From fall preview shows back in July, to pictures for New York Fashion Week from earlier this month, critics are breaking the long-held rule on white. Rocking a long white skirt or even a classic off-white dress paired with a brown or tan boot is a look to steal. Glamour magazine’s “Fall 2013’s Most Wearable Fashion Trends” cites “winter white” as the first and biggest look this season. Mix white with black and you have yourself a timeless look not for just this fall, but any cold season to come. 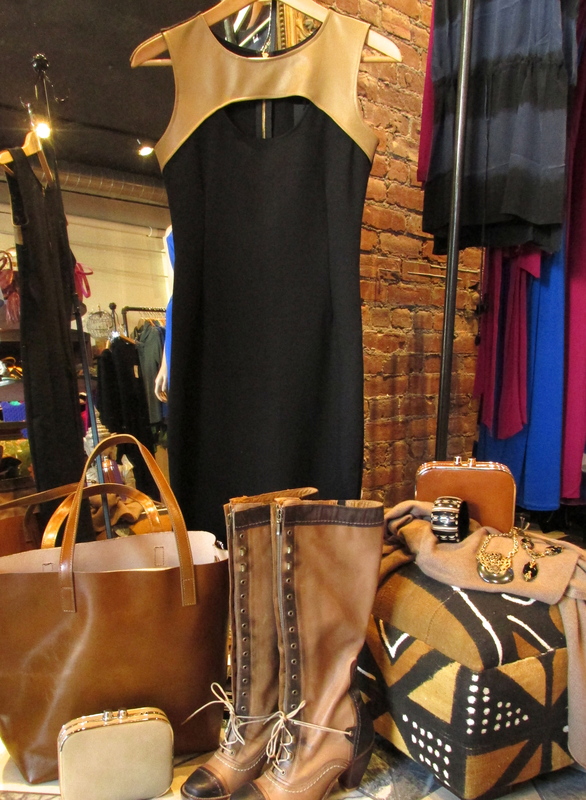 Rhythm in Rye, a designer consignment shop in Rye, features popular vintage looks. Jane, the store’s manager, recommends a black skinny jean paired with a black peep toe shoe and a long textured poncho. “Add a pop of color. Whether it’s a bag or glove, adding some bold color or an animal-print accessory breaks up an outfit and makes it fun,” she says. Have a royal blue or a bold red top or pant? This season’s the time to wear it. Royal blue, or what stylists dub “Margaret Thatcher” blue, deep red and coppery-gold are colors McKean has found are making a come back. “Pair any of these royal colors with grays or blacks and you have a bold, but classic outfit,” says McKean. ￼For Maria DiLeonard, owner of Siren, a fashion and lifestyle boutique in Mamaroneck, fashion should be effortless. “We’re not about trends here. Understated chic is the way to go. Style should express who you are, it should be effortless,” she said. In an exclusive for The Eastche­ster Review, Siren assembled one of their favorite fall looks that consist of a cute black dress, Parisian boots, a leather bag and classic accessories. Embracing the timeless look is also in style for men’s fashion. Vanity Fair reveals the tweed blazer, dark leather loafers and basic patterned sweaters as some of its top looks in its “Best of Men’s Fall Fashion” feature. Just like women’s clothing, layering grays and blacks is popular in men’s fashion this fall. 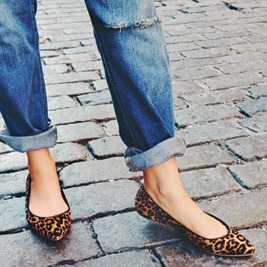 From flats to simple accessories, fall fashion is more comfortable and accessible than ever. In what she describes as a “Macklemore” effect—named after the Seattle rap artist—people are opting for looks that don’t appear time-consuming, like a plaid shirt or unique jacket. Clothes are bold and simple this season, and they’re about embracing your own personal style. The best fashion tip for the season? Take the classics from your wardrobe and revamp them with your own unique look. The post “This fall, a few surprises in fashion” appeared first on Hometown Media Group. Tags: christian dior, fashion, flats, parsons, rye, siren, sweaters, vogue. Bookmark the permalink.